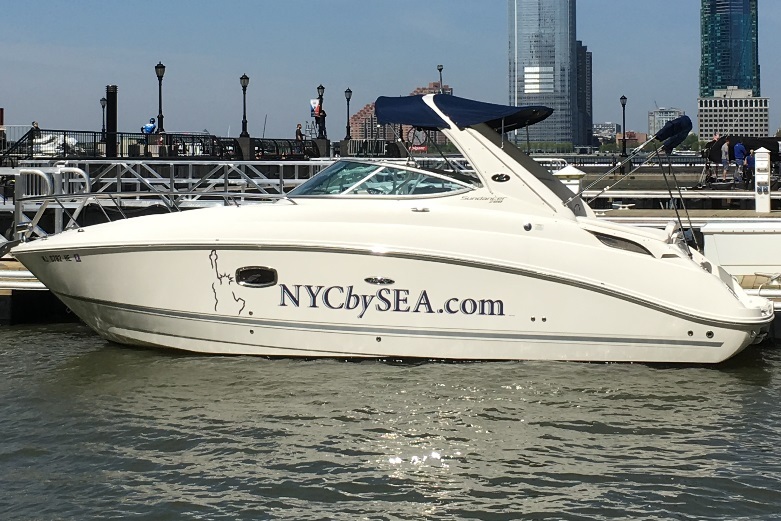 NYCbySEA is Manhattan’s newest sightseeing cruise offering tourists an unforgettable experience aboard a luxurious 28′ powerboat cruiser. 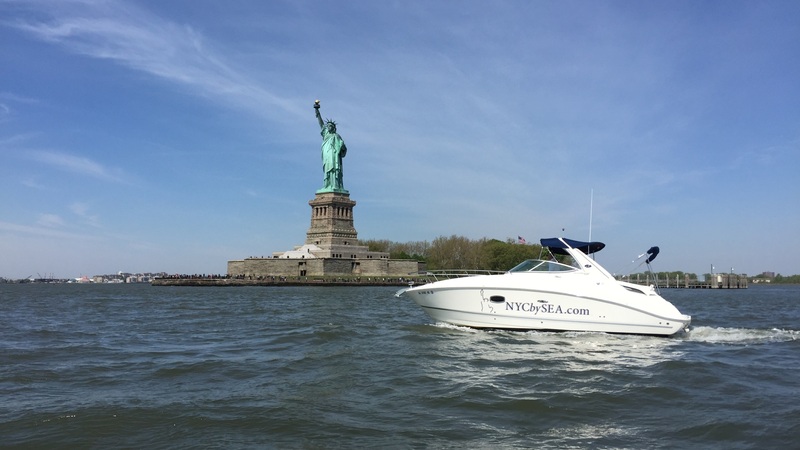 NYCbySEA is the only limited-seating, powerboat charter that offers regularly scheduled daily tours of New York City. Each one-hour excursion is limited to six passengers. Therefore, riders enjoy an unmatched level of comfort and relaxation. Luxury at a very affordable price. At only $85.00 for adults, and $60.00 for children 12 and under, NYCbySEA’s sightseeing tours offer unparalleled value. Let our U.S Coast Guard licensed captains guide you around historic New York Harbor. Enjoy the sights of the Hudson River, Battery Park, and the East River while you relax on your tour. Why sit aboard a crowded boat when you can enjoy an intimate cruise with your family and friends? 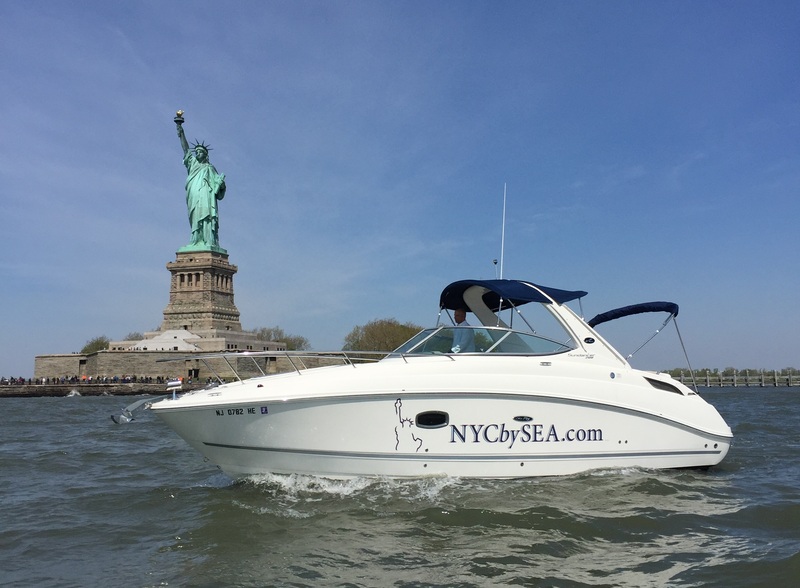 NYCbySEA will undoubtedly be the highlight of your trip to the Big Apple! The hour long Manhattan sightseeing tour stops at the Freedom Tower, Brooklyn Bridge, and the Statue of Liberty. We ensure that our passengers have ample time to photograph the most iconic landmarks in the world. Listen to the music of your choice as you lay back and enjoy a soft refreshment while cruising along in a top-of-the-line powerboat. NYCbySEA truly offers Simple Sightseeing in Sophisticated Style! 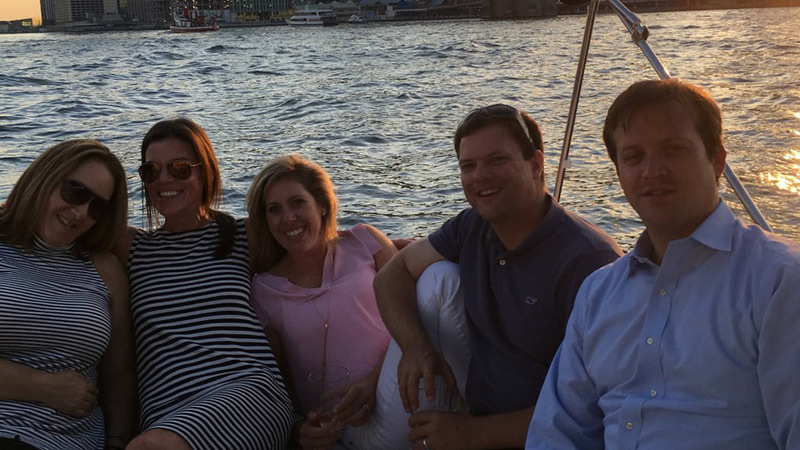 For a more custom itinerary, we offer private charters for any occasion. From a romantic evening with a loved one, to a celebratory night out with friends, or a once-in-a-lifetime view of Macy’s Fourth of July Fireworks, a private tour with NYCbySEA offers a truly remarkable experience. Private charters are also a unique way to take out-of-town clients or international business associates sightseeing around Manhattan. Here at NYCbySEA, our goal is to make your tour as memorable as possible. We offer professionally edited souvenir videos of any excursion to commemorate your tour. 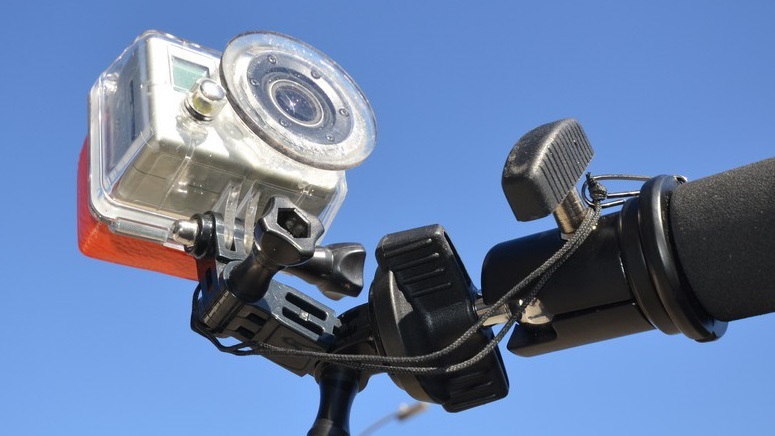 The videos are recorded with a Sony HD camera, mounted on top of the boat. For added convenience, a written translation of the tour is available in Spanish, Italian, German, and French for our international guests. Come join us in what will surely be the highlight of your trip to New York City!